Independent learning time, a core part of Pleasant View Elementary's instructional approach, is not without its challenges. As each student is working at their own pace, predicting when a student will need to be assessed is difficult. 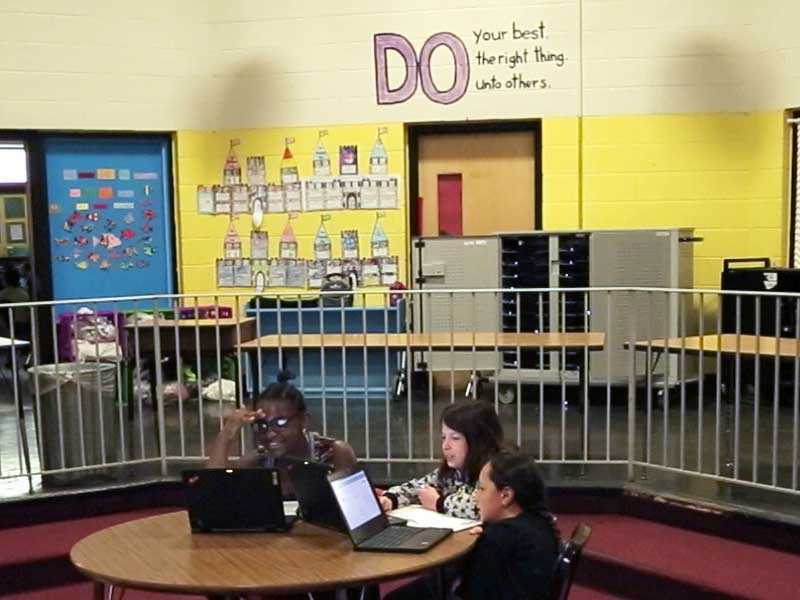 In order to meet individual needs while not disrupting instructional time, Pleasant View created a simple solution: students who are ready for an assessment will write their name and the title of the assessment on the board. The student can continue on to a new learning objective and, at the next break in instruction, the teacher checks the board and provides assessments to students who need them. Writes their name and the title of their assessment on the board when ready for assessment. Continues working on their Personalized Learning Plans until the teacher has released the assessment to them. Reviews the assessment signup on the board in between instructional moments. Releases assessment to students when appropriate. Provides coursework the student can pursue independently while waiting to take the assessment.